Increasing numbers of under 40s are being diagnosed with type 2 diabetes – a disease most commonly associated with elderly people. Data from GP records show that the number of young people suffering with type 2 diabetes has increased six-fold over the last 20 years. 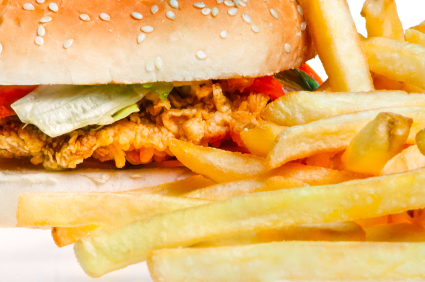 Researchers say the rise can ‘almost entirely’ be pinned on the modern obesity crisis. People who suffer with type 2 diabetes are more likely to suffer stroke, heart attack, blindness, nerve damage and kidney disease than healthy people. The NHS spends around £10 billion a year treating people with diabetes. That is a tenth of its entire annual budget. Data shows that between 1991 and 1995, only 577 people under the age of 40 were diagnosed with type 2 diabetes. Between 2006 and 2010, that number soared to over 14,000. In the same period obesity rates doubled and by 2010, 26% of adults were dangerously overweight. Dr Matt Capehorn of the National Obesity Forum says even young teens are being diagnosed with type 2 diabetes. Other experts have warned that this disease is just the beginning of a much bigger crisis fuelled by overeating in the UK. Both cardiovascular disease and cancer levels are predicted to soar over the next few years unless something is done about the nation’s eating habits. Nutritional education is key to a healthier society. If you would like advice on how to eat well and reduce your risk of weight related illness, then you are advised to speak to a nutritionist. You can find out more by visiting our Healthy Eating page.